When we started bulkthreads.com, we wondered how our little group could be different from every other blank shirt wholesaler out there--how could we contribute to make this world just a little bit better than the one we inherited? "At bulkthreads.com, we're not just passionate about fair pricing and outstanding quality--we want to build a community. A community of like-minded people who want to share in each other's experiences and designs. A community of mothers, fathers, restaurant owners, reunion organizers, 5K enthusiasts, teachers, students, readers, athletes, musicians. A community of grandparents who want to show off the t-shirt they designed for that family vacation in Hawaii, when they packed their sunglasses and enough sunscreen for 23 grandchildren and 3 sons-in-law." We haven't been around as long as our friends and competitors, but we've met enough of you to feel grateful for the community we've joined over the past 12 months, and we're excited to share in that community as it grows and grows. 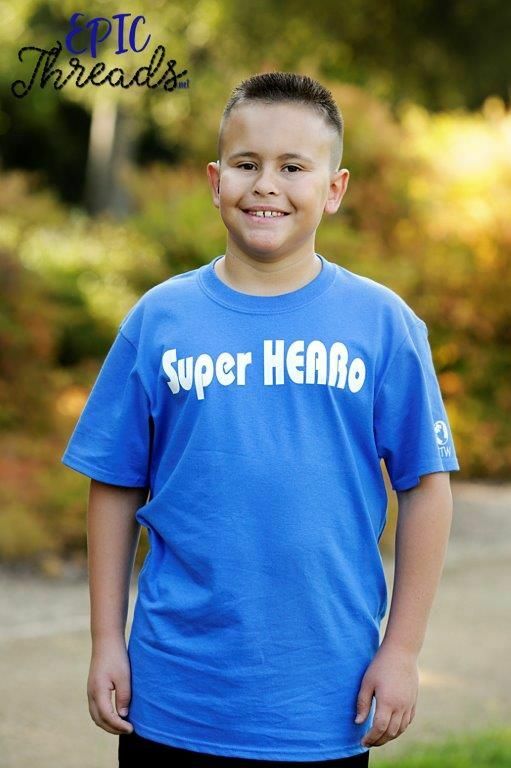 And here is one of the reasons why we joined this community in the first place--to meet kids like Jaiden Beavers. 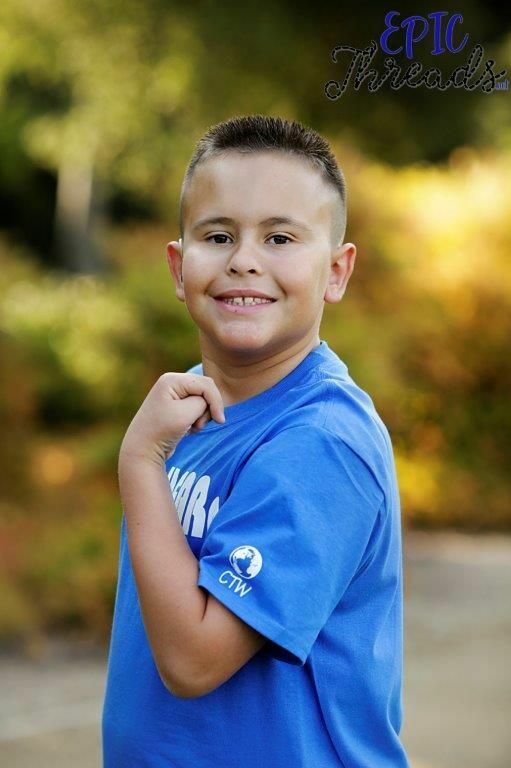 ﻿Jaiden is 9 years old, and like any other 9-year-old he goes to school every day, he loves spending time with his family and friends, and he dreams of doing something amazing when he grows up, like playing professional basketball in front of thousands of screaming fans. Jaiden was also born with hearing loss in his right ear. While experiencing hearing loss is challenging, "My parents never let me 'feel' like I was different," Jaiden says. "It was never scary or meant I wasn’t as valuable." The support of his parents and the realization that all children are equally special gave Jaiden an idea. "I started thinking how great it would be to give other kids like me a voice. Words are powerful and sometimes people use powerful words in a mean or hurtful way. I wanted to flip that. I wanted positive words that we could wear proudly. I want our disabilities and differences to be COOL, not something we are ashamed of. "From the beginning," Jaiden says, "I knew I wanted two things: to sell t-shirts & for them stand for something important." So with the help of his parents, he started an e-commerce business based around positive words and one simple but profound mission: giving those with disabilities a voice. "I started asking my other friends that also have disabilities or differences what words were important to them," Jaiden says. "I made a giant list and spent my summer creating t-shirts from my list of words. We can change how people look at us. We can change the conversation. We can change the world." Here are some of Jaiden's messages: Always be Kind. Love doesn't count chromosomes. Autism is my superpower. We caught up with Jaiden recently and asked him how things are going. What, we asked, has been the most rewarding thing so far? "It is hard for me to pick just one thing," Jaiden says. "It has been so awesome to work with my parents and brainstorm my ideas. They let me make the decisions - what to design, what colors, what shirt styles I liked. I’m only nine, but epicthreads.net is my voice and that is really cool. Something else SO rewarding is other parents telling me that they think my message is valuable. Parents of children with disabilities that want the world to see their children as more than their diagnosis. Seeing their kids wear shirts I designed is amazing." Know what else is amazing? 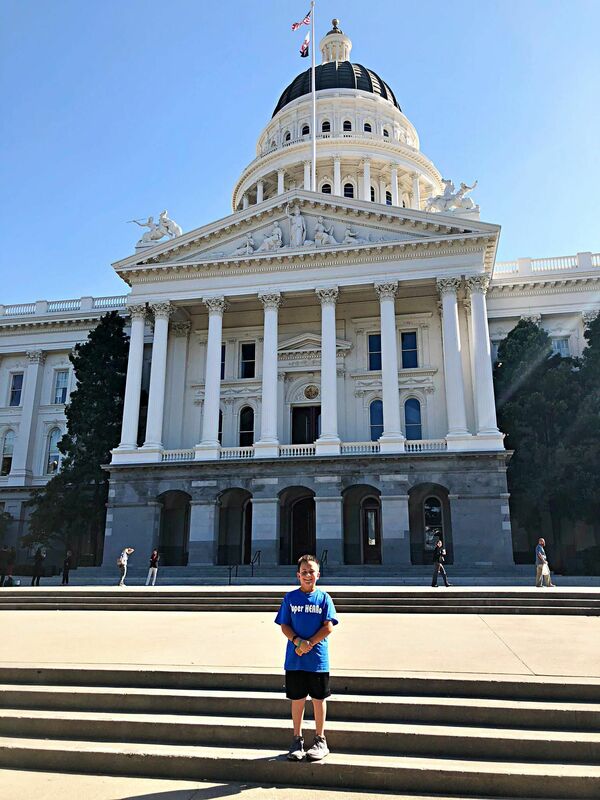 Jaiden's message has made it all the way to capitol hill, where state legislators listened to Jaiden share his message about disabilities and changing the world. For kids like Jaiden, the sky's the limit. "I would love for epicthreads.net to grow to the point that I can hire other kids with disabilities to work with me to spread my message," he says. "I’d love to see a world where different = awesome!" We do. So we're glad to share Jaiden's story with you. If you want to find out more, check out Jaiden's website and Facebook page. Like, comment, and share--the world needs positive messages like Jaiden's.